We are delighted to invite you to join our Nefesh & JEMS joint High Holiday services - now in its 5th year. The service is primarily geared to families with children, at a very affordable cost! 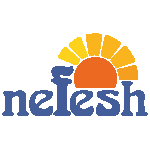 Nefesh is known for it’s warmth and spirit, creating a service filled with warmth and joy that is both inspiring and easy to follow. We are sure you will feel welcome and comfortable, whether joining for a short while, or staying for the entire service. The service is designed to be welcoming to all regardless of prior knowledge, whether you have attended Shul for many years or this is your first time. Meaningful commentary and explanations in english, along with instructions, will make the service relevant, inspiring and easy to follow. The service will take place once again at the Winkler Roth Hamakom (Moriah College Early Learning Centre), 66-68 Dover Road, Rose Bay. The CSG and Challenger will be securing the venue during all services. The services will be led by Rabbi Sufrin and a guest Chazan from Jerusalem, Shneur Liebman. The children will be divided into age-appropriate groups and run by the wonderful JEMS staff. The special prayer book used during the Rosh Hashanah and Yom Kippur services will be provided for all, with a modern english translation. Wishing you and your family a Shana Tova Um'tuka, a good and sweet New Year.